In 2015 a man called William [a.k.a. Ambrose] MORAN‐DOLGOROUKY entered in contact with two priests of Our Lady of Mount Carmel [OLMC] Seminary in Boston, KY, Fathers Joseph PFEIFFER and David HEWKO, claiming to be a ‘Catholic Archbishop’ in good standing with the Catholic Church and claiming he had received a ‘mission’ to help the Traditional Catholic Latin movement, at the request of the late Card. 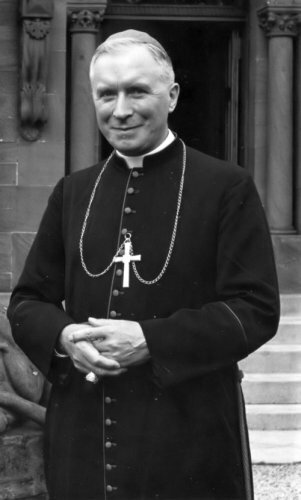 Joseph SLIPYJ (1892‐1984), the former Major Archbishop of the Ukrainian Catholic Church. At the request of Frs. Pfeiffer and Hewko, a long study of nine (9) pages on Moran’s life and claims has been published on October 31, 2015 by a friend of OLMC, Gregory Taylor, in which the author attempts to prove that Ambrose Moran is what he claims to be, that is, a Catholic Archbishop in good standing with the Catholic Church. Unfortunately, after reading this long study, we have discovered many grave inconsistencies about Ambrose Moran’s past life which opens the way to a legitimate questioning of the authenticity and validity of Ambrose Moran’s claims.